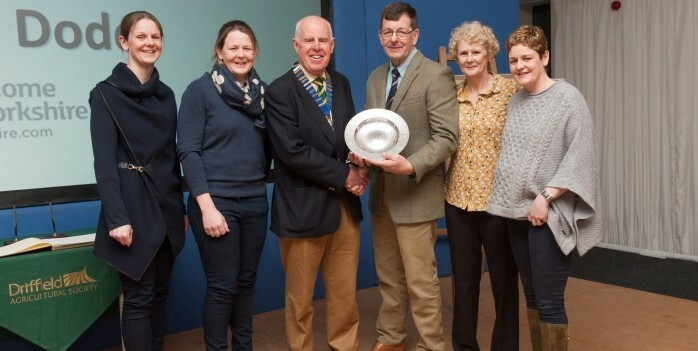 The Morgan family have received a prestigious award in recognition of their contribution to agriculture. Pig numbers at the farm have grown from an initial 800 sows to 1,700, producing pigs reared to bacon weight. The family – David, wife Sue and daughters Vicky, Rachel and Kate – have become familiar voices in the national media, highlighting the realities of pig farming and the drivers behind the different systems deployed throughout the sector. They were awarded the Farming Weekly Pig Farmers of the Year award in 2012 and have appeared on BBC Breakfast, BBC Radio 4’s Farming Today programme for a whole week in 2018 and, last month, on Countryfile. Accepting the award alongside her mother, father and sisters, Vicky Scott explained how proud her family was to receive the award.